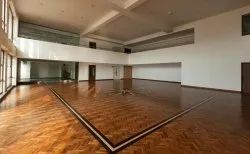 We are dedicatedly involved in providing an excellent quality array of Engineered Wooden Flooring, for catering the various needs of our clients. Color: American Walnut, Carbon White, Classic, Cognac, Levi, Walnut etc. Application: Home, Offices, Hotels etc. Brand: Mikasa, Notion, ,Mikasa, Notion, BVG etc.